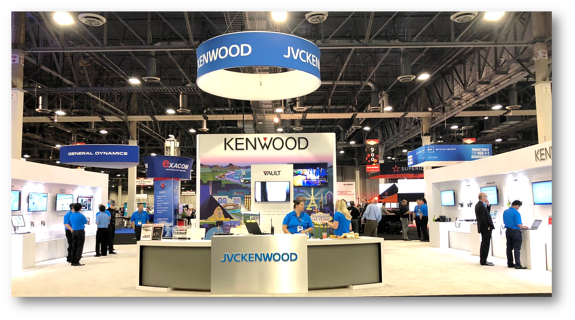 We were thrilled to announce the release of Viking Vault to end-users at APCO 2018. Before today, every time you purchased a P25 portable or mobile radio you paid for the hardware plus all the software options. In some cases, the software options alone exceed 70% of the radio price. KENWOOD Viking® has transformed the way you purchase your radios with the perpetual software licensing program. This program adds greater value by extending the life of your software purchase into your next hardware platform - you own the software option forever. Perpetual licenses are easily managed with Vault™ - a comprehensive radio and software license asset management platform. Users can manage their Viking radio fleet and easily transfer non-perpetual and perpetual licenses. First responders can simultaneously receive and display radio communications using up to four frequency bands so they never miss a call. The "select" and "unselect" speakers allow flexible audio control similar to a dispatch console. The VM7000 also features mixed protocol operation (P25 Phase 1 & Phase 2, SmartNet®/SmartZone®, and FM Analog), built in P25 GPS data, full featured control heads with large color displays and user selectable themes. In addition, the VM7000 fully integrates with the Pyramid Enhanced Vehicular Repeater Solution (EVRS). The EVRS extends all-band operation to portables in the field. The KENWOOD Viking 110W mobile provides first responders with extended coverage compared to traditional mobile radios. Ideal for state police departments and highway patrol, the 110W mobile can be configured as the primary deck on the VM7000 all-band, multi-deck mobile and easily integrates with Pyramid enhanced vehicular repeaters. KENWOOD KAIROS DMR Tier 2 simulcast repeaters are the perfect platform for any DMR application, from simple standalone sites to large nationwide systems. With advanced multi-level redundancy, the KAIROS solution provides continuous operation during component, site, and network failure. KAIROS is a great fit for organizations that require critical wide area communications with limited frequencies. Attendees had the opportunity to enter the KENWOOD Viking Giveaway on both Monday, 8/6 and Tuesday, 8/7. 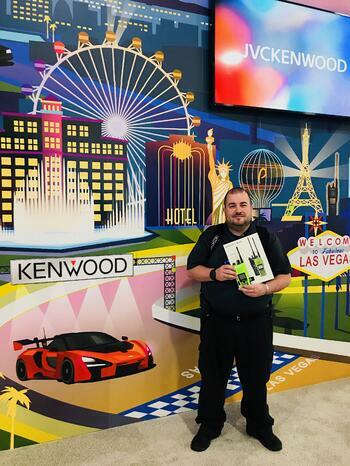 Four lucky public safety agencies won a free KENWOOD Viking VP6000 radio and a Viking License Package valued at $3,300. Congratulations to the winners from San Diego City & County, CA, Hamilton County, IN, Memphis Fire Department, TN, and Luzerne County, PA. 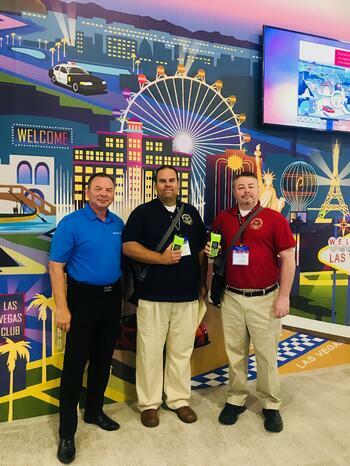 Thank you to everyone who was able to join us at APCO 2018. We hope to see you all again in Baltimore next year. For additional information on our KENWOOD Viking P25 radios or ATLAS P25 systems, NEXEDGE® NXDN systems, and KAIROS DMR systems, contact our team here today.